How do you handle discipline in the classroom? Do you use clothes pins or have the students pull their card? I like the kids to have a "hoppy day"...... happy students equals a happy teacher!!!!! I use positive reinforcement. I praise those who are making the good choices and redirect those who aren't, but heavier on the praise. Students soon learn that the kiddos who make positive choices get to have all the fun in class. Those who take their time and do their assignments right the first time, don't have to redo it. Those who go over and beyond to help someone get noticed. Those who show respect get respect. Another fun way to reinforce positive behavior is with BINGO! A friend of mine from Arizona (Hi Teresa!) introduced me to he Behavior Bingo! Year after year my students LOVE it! 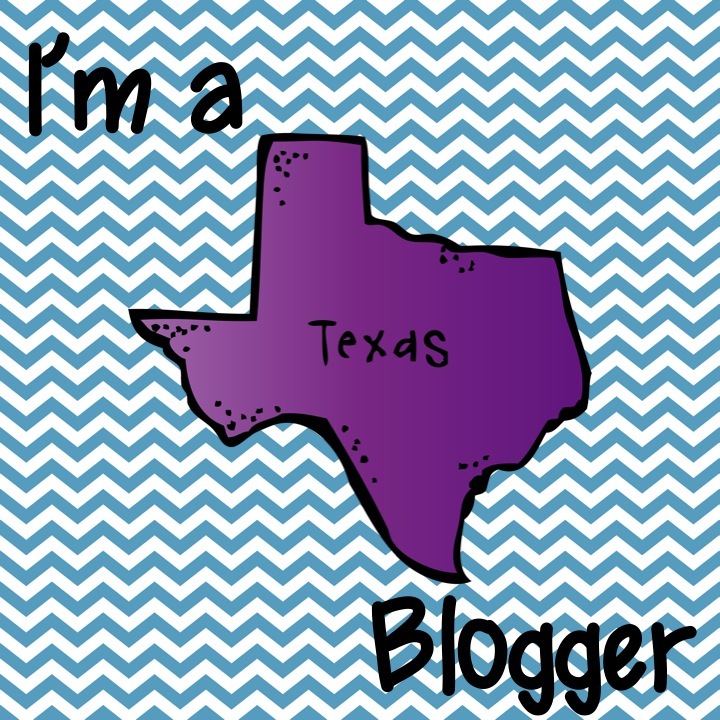 The picture below is my behavior BINGO (Teresa designed it). I cut off the top of my BINGO board when I took the picture but it has my name in large letters and some western deco. I had the banner made at Vista Print. It's lasted me at least 3 years already and its still in perfect condition. I have the students choose what "prize" they want to earn when they get a BINGO. Recently my classed earned No Homework for a week and now we are working towards a game day! Last year my students earned a class pet, pajama day, lunch in the classroom for a week, and no homework for a week. It takes a while to get a BINGO but the kids really love trying to get compliments. I have numbers one through one hundred cut out and laminated that I keep in a little bucket I hang right below the poster. I also keep the little circle stickers in the bucket as well. If everyone is present for the day and not tardy AND the class has good behavior when ever they transition from the classroom to specials, lunch, etc. I will pick one number. If our principal or vice principal, another teacher, or an adult visitor give the class a compliment I will pick two numbers. As soon as one row is filled they get whatever prize we all agree on. It has worked like magic. My students really work hard to earn a BINGO! I would love to hear what you use to handle discipline in the classroom! Let me know what you do in your classroom in the comments below. I LOVE this idea. 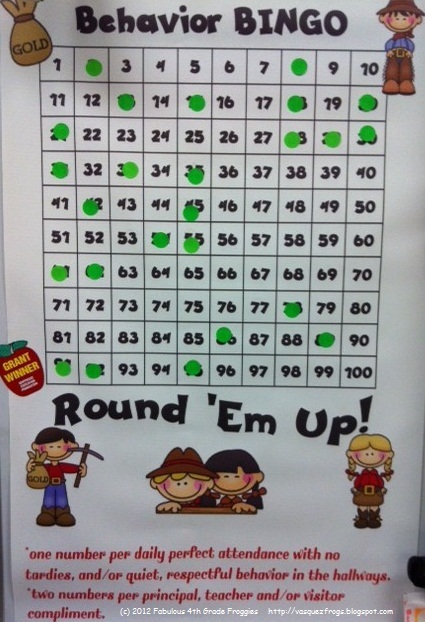 I am totally going to try this with my class, but with smaller number. LOL! I used the Behavior Bingo a few years ago for our cafeteria points...the kids LOVED it! It worked out so well. Or, as you said, MAGIC! I love this idea. So adaptable for any class. Thanks Mrs. L! You are absolutely right! What do you do when some of your class doesn't behave? Then no number gets pulled at all? I really really like this idea!! I use positive discipline also in my class, but with clothespins. Their pin can move throughout the day depending on their behavior. If someone has a bad morning, they are not STUCK on a lower color all day long. I'm not in love with it though, because of course, I ALWAYS to move my kiddos up for showing expected behavior!! Anyway, I also do something called 5 minutes of fun. I look for students who were sitting quietly on the carpet during mini-lesson, or who finished all of their work neatly during work time, or good behavior in the hallway. I call those who were making good choices to the carpet and we dance to a fun song. I call it 5 minutes of fun. My other students have to sit at their desks and watch the other kids dance to the song. It does work, and motivates my kinders to make good choices so they too get to dance!! I love this idea!! Our school is an IB school so we emphasize a set of attitudes and attributes. When I see someone displaying those positive attributes I reward them with a merit for that specific behavior. This is a school wide system and all teachers can hand out the merits. After the student earns 25 merits he/she is recognized by the head of school during an assembly and given a certificate. The kids love it! In addition to earning those merits for themselves they earn house points for the whole school. It's a great motivation. Thank you so much for sharing your strategy! I am teaching a workshop to our teachers on behavior strategies and I am going to add this idea to my list! What a fantastic idea!! I plan to try it at the beginning of next year! It is such a unique way to manage discipline and rewards! Thank you for sharing! I love this idea! I currently use beads (the ones you put in vases for flowers at the bottom), in a jar. They earn them for a variety of reasons and it's always by the small handful. This has worked and they have to get to a certain level in the jar that is marked to earn a reward. This year my students are pretty easily off task (there is a group of them), this might be a new way to get them focused and for something new and different. Thank you! Hi! This is such a neat idea! I will be teaching 4th grade in August also. I am a little anxious as this will be my first year of teaching. Since Behavior Bingo is for the entire class, do you use another set of discipline/consequence chart for individual students? I absolutely love this idea! How did you make the banner on Vistaprint? Did you make it using another program and upload it? Thank you!